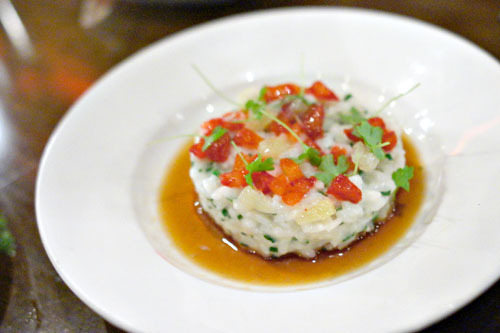 Since its debut in December 2009, Lazy Ox Canteen has been a fixture on the Downtown LA culinary scene, and has helped cement the City's center as a hotbed of dining. 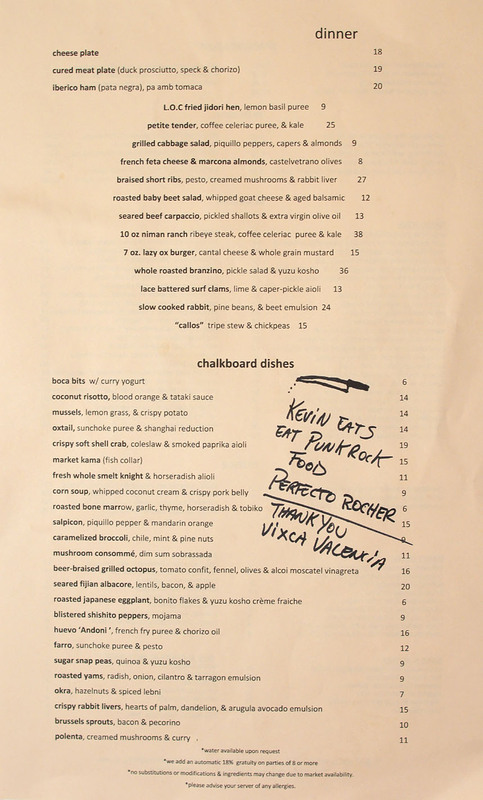 The restaurant, a pet project of IDG head Michael Cardenas, largely owed its success to longtime California toque Josef Centeno. Centeno's brash, eclectic cooking earned him legions of fans, and even allowed him to open his own place, Bäco Mercat, earlier this year. The success of BM, however, has forced the Chef to decamp from the restaurant that he helped create, leaving The Ox in the hands of one Perfecto Rocher, who Cardenas had hired earlier to helm the kitchens at his oft-delayed Spanish concept Taberna Arros y Vi. 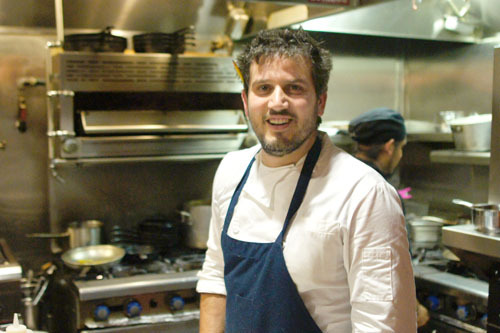 About the Chef: Rocher spent his childhood in the Valencia region of Spain, and was exposed to good food--paella in particular--at an early age. His parents and grandparents were in the restaurant industry, and the young Chef spent considerable time working in the family business. At the turn of the millennium, Rocher moved to London, taught himself English, and started working as a dishwasher at the Manor House Hotel in Chippenham, eventually making his way through a number of restaurants in England. After a few years in the UK, he relocated to the US, landing in San Francisco and finding employment on the line at Gary Danko. 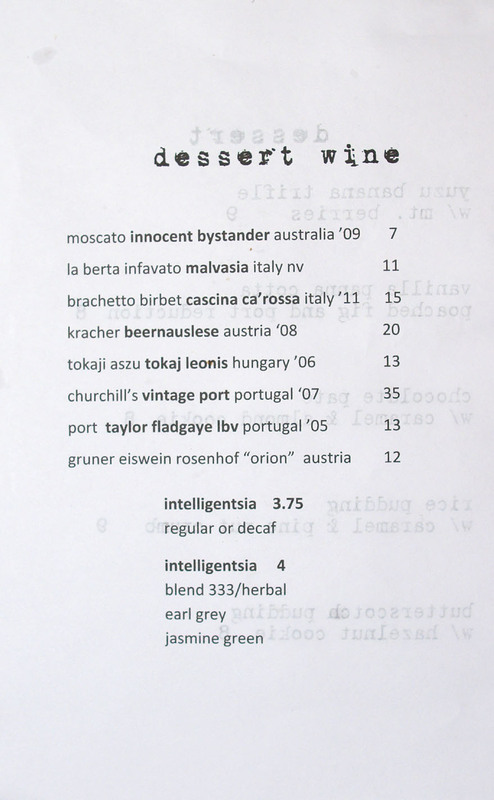 From there, Rocher transitioned to Picasso in Las Vegas, then to David Kinch's landmark Manresa. Following, the Chef returned to his home country to work stages at Arrop in Valencia, Martin Berasategui's eponymous restaurant in San Sebastian, as well as Ferran Adrià's legendary El Bulli (where he garnered an appreciation for Catalan cooking). 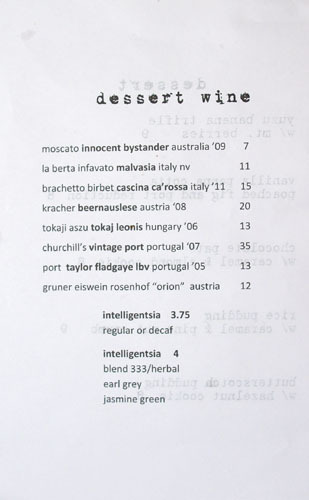 Rocher then moved back Stateside, again to San Francisco, where he became Chef de Cuisine at Campton Place. After a deal to cook at Chez Papa Bistrot (along with plans for a solo project) fell through, he ventured to New York to work at Le Bernardin. He quickly got sick of the cold, however, and thus settled in Southern California, taking over the kitchens at BLVD restaurant in the Beverly-Wilshire in March 2010 (he cooked for Barack Obama during his stay there). 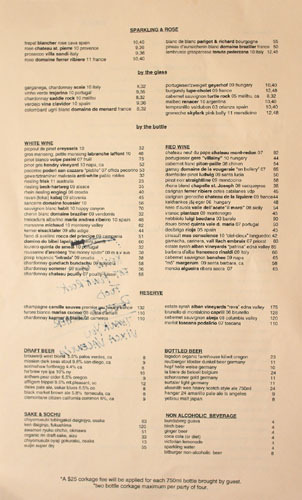 Rocher even got a piece of the Test Kitchen craze, hosting a dinner with Walter Manzke toward the end of that year. After his stint at BLVD, he made a few guest appearances at Soho House, then joined forces with Michael Cardenas to launch a Spanish eatery in Culver City, before taking over the reins here at Lazy Ox in March. Inside, not much has changed on the ground floor of Sakura Crossing, which is probably a good thing. The dim lighting (think 1/8s and f2.5 at ISO3200), liberal use of wood, the tight tables, the chalkboard menu, they're all there still. Just about the only thing that's different is the presence of Rocher's grinning countenance in the open kitchen. 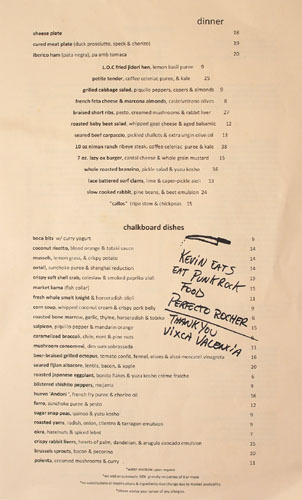 Rocher has retained the basic layout of the Lazy Ox menu, with its dynamic array of "chalkboard dishes" joined by a steadier selection of favorites, though the food features a more Spanish slant, not surprising given the Chef's background. 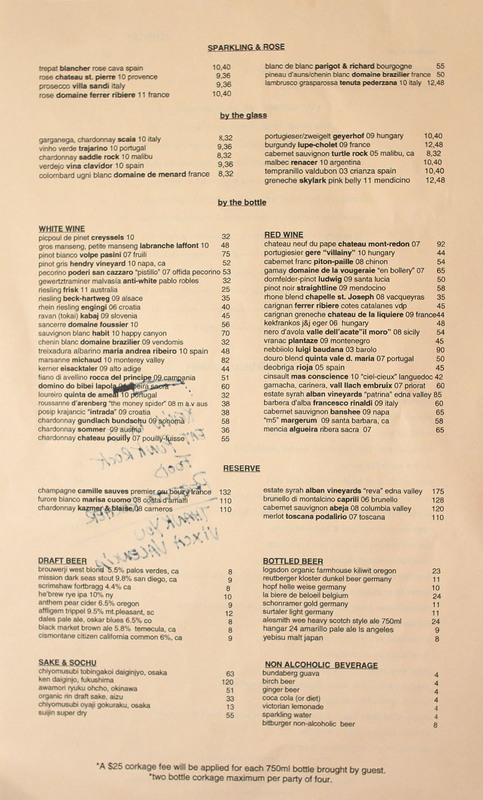 Fortunately, the restaurant's list of rustic, somewhat obscure, reasonably-priced wines has remained pretty much the same, as has the beer selection. Click for larger versions. 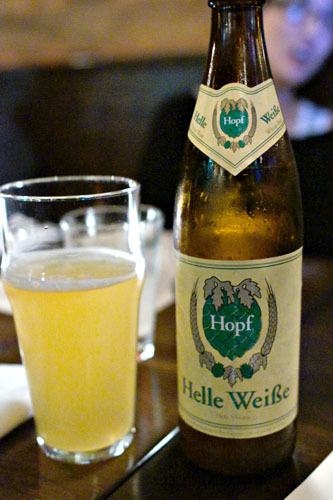 Speaking of those beers, I started with the Hopf Helle Weisse [$10] from Miesbach, Germany. 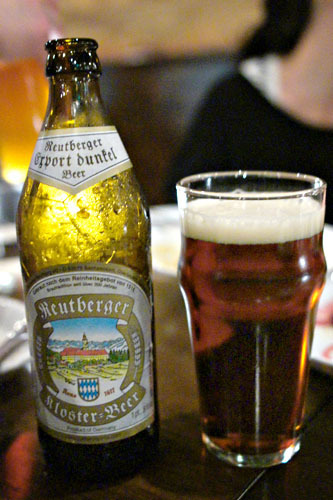 It was delicious and refreshing, one of the tastiest hefeweizens that I've had in fact. I found it very well balanced, with a good mix of hoppy, wheat-y flavors joined by a marked lemon-y character and a hint of banana and spice. 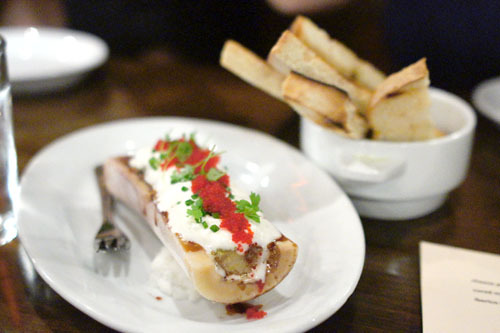 Bone marrow, natch, was a must-order, and it did not let us down. The marrow was expectedly rich, fatty, and positively decadent, an unabashedly potent explosion of flavor beautifully tempered by the tang of the included horseradish and herbs. Heavenly over the crisp strips of toast. 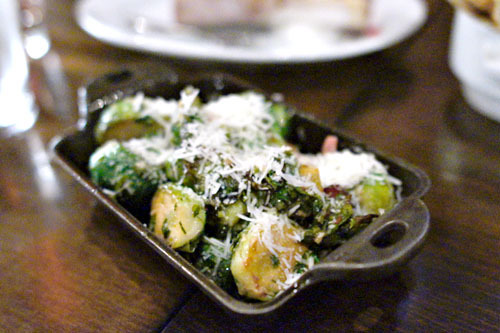 Brussels sprouts were also on point: satisfyingly firm in consistency, with a delectable mix of bitter and savory flavors, all amped up by the saltiness of the bacon and the focused weight of Pecorino. A salpicon is a chopped mixture of various ingredients, all tied together by a sauce of sorts, and this particular presentation was superb, one of the highlights of the night actually. 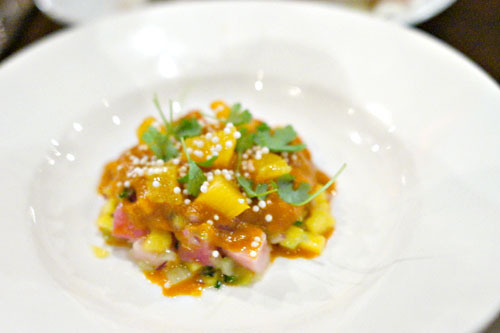 Fresh cubes of yellowtail formed the base of the course, and the fish went just swimmingly with the tartness of the citrus, the herb-y kick of the cilantro, as well as the piquancy of the piquillo, which really did a great job binding all the disparate elements together. Of course, the menu just wouldn't be complete without the requisite huevo dish, and here we had one ostensibly inspired by the cooking of Spain's vaunted Andoni Luis Aduriz (of Mugaritz fame). 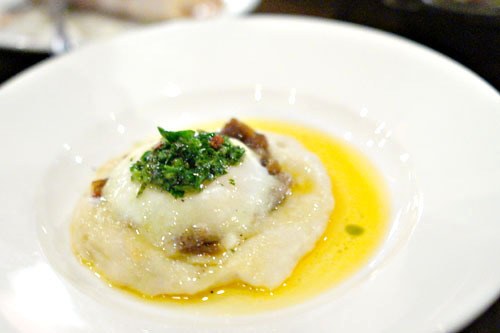 The egg itself was spot on: runny and lush, deftly augmented by the salty, spicy bits of sausage, while the potato purée served to ground and moderate the dish. Octopus arrived expertly cooked, with a supple consistency that still provided a satisfying bite. Its delicate sweetness, accented by an astringent char, was a natural pairing to the tomato component in the dish, while the fennel gave things a light, bright, anise-laced kick and crunch. Oxtail was all that you'd expect: wonderfully tender, with boatloads of deep, dark, brazenly bovine flavors, accented by a subtle sweet spice from the Shanghai sauce. The sunchoke, meanwhile, worked well to cut the sheer heft of the meat, and I appreciated the countervailing bitterness from the spinach as well. Even though I'm a risotto fiend, I was a bit unsure of this initially given my slight disrelish toward coconut. I was afraid that it wouldn't work in the dish, so I was pleasantly surprised when I discovered how well integrated it was. The coconut wasn't overwhelming at all, but provided just a whisper of sweetness in the background. I quite appreciated the richness, creaminess, and texture of the rice, in addition to the tart, fruity flavors of the blood orange. Very nice. The albacore was nice enough, but was my least favorite course of the evening. 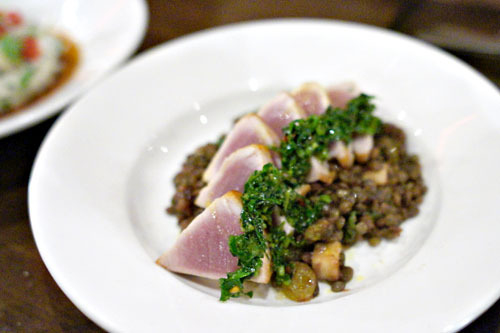 I appreciated the heavy, earthy weight of the lentils, as well as the salty smack of the bacon, but the fish was sort of lost here, overpowered by its accompaniments. It just didn't all come together in the end. In preparation for the heavier courses to follow, I ordered up another German beer, the Reutberger Export Dunkel [$11] from Sachsenkam. This was obviously a considerably darker brew, with a good backbone of malty sweetness joined by a bit of fruit and touch of hop bitterness. Quite good, and very drinkable. 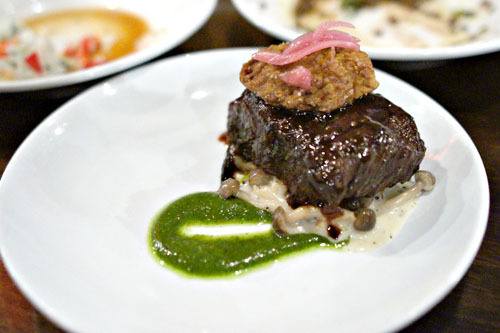 It's hard to go wrong with braised short ribs, and tonight it did not disappoint. 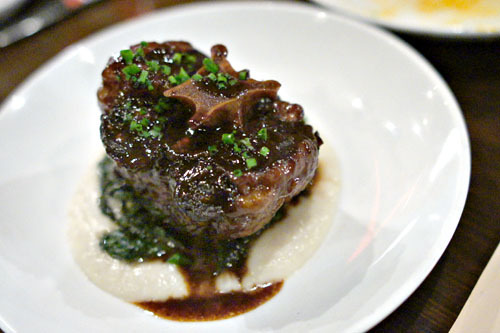 The hulking brick of meat was consummately cooked to a tender, luxurious consistency, just teeming with beef-y savor. The mushrooms were a great pairing with the ribs, and I loved the green, bright, offsetting zest of the pesto sauce as well. Despite the deliciousness of the meat, my favorite thing here was actually the fried rabbit liver, which added a fantastic crunch and heady, earthy relish to the dish. 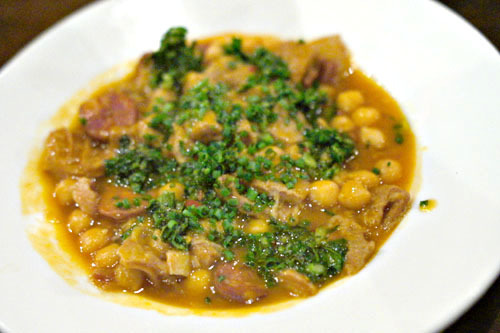 Our last savory course of the meal brought us callos, a Spanish tripe stew with chickpeas. This was intense, with an incredible depth of flavor that would've nearly overwhelmed the palate had it not been for the moderating effect of the garbanzo beans. A heavy, hearty dish, to be treated with care! Time for dessert. 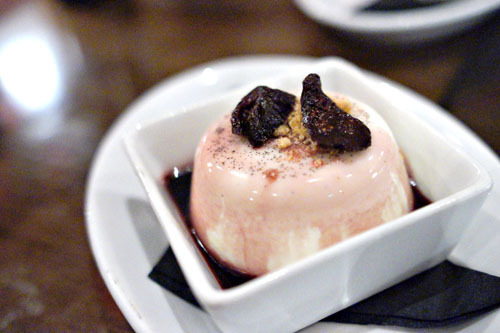 There's no dedicated pastry chef at Lazy Ox, so Rocher handles all the sweets himself. Click for larger versions. 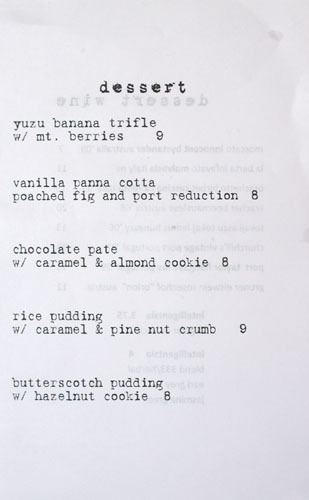 Rocher's take on the classic trifle was excellent, with a superb interplay between the jammy sweetness of the berry against the comparatively light flavors of the sponge cake and banana. 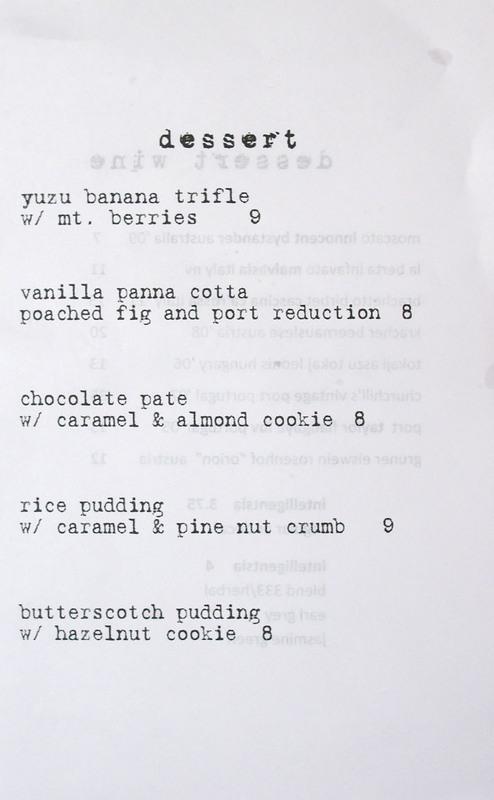 I loved the slight citric overtones of the yuzu as well. Very nicely integrated. 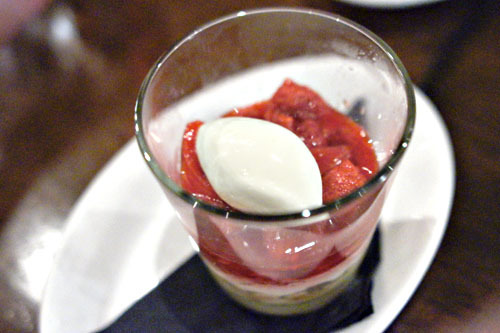 Though it didn't quite reach the lofty heights of the trifle, the panna cotta was tasty as well. There was a great balance here between the sugariness of the fig-port combination and the vanilla, with a jolt of sweetness coming in initially, then leading to the mild, delicate tones of vanilla toward the midpalate. Chef Perfecto Rocher at the end of the night, looking a bit frazzled perhaps. 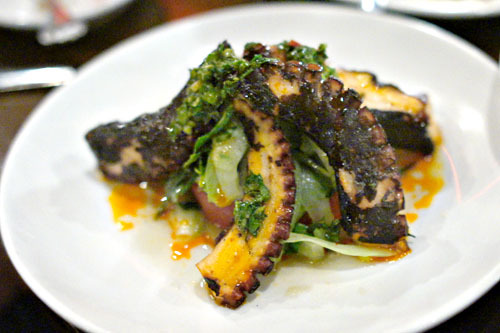 We enjoyed a lovely meal overall, and despite the loss of Josef Centeno, things are still looking good for Lazy Ox. Rocher's cooking comes from a different culinary point-of-view, but it's one that can be just effective, and just as delicious. The food's probably a bit more subtle, a little less punk, a little more jota, and a lot more Spanish (or Mediterranean), but I think it'll preserve the legacy of The Ox just fine. Looks like he hasn't added any paella to the regular menu yet? Kind of surprised, but I imagine that it will be at some point. Yeah I was a bit surprised that paella was a no-show on the menu. Perhaps he's saving it for the oft mentioned Spanish concept. You just missed his glorious paella week earlier in April (I went every night that week). This dude can cook a legit paella. Hey Jane, yeah I was thinking about going that week, but I was afraid that the rest of the menu wouldn't have been changed over yet. I do want to try it at one point though. Thanks for the heads up. I also notice that Lazy Ox has finally updated their web site, though it still doesn't show the aforementioned rice. As for Jane, that would be Jane Lee, a longtime reader. I was assuming that's what the "J.L." was for.